It’s my favorite time of year. Fall festivals, apples, sweatshirts, football games, jack-o-lanterns and trick-or-treating. It’s also the best time of year to get really creative in the kitchen and make some fun and (kind of) scary treats. Kraft tasked me with coming up with a fun creative dessert idea for Halloween. 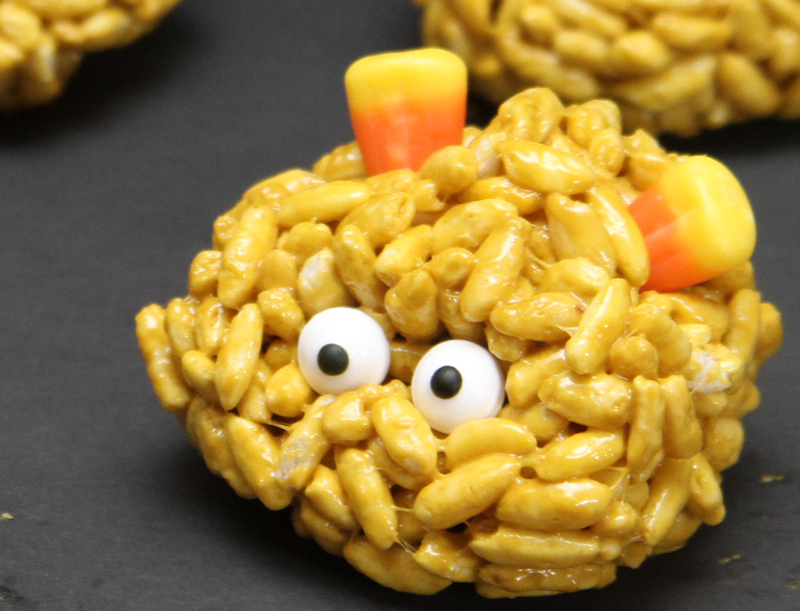 I knew I wanted my dessert to be kid-friendly and fun so I made Monster Balls Halloween Treats. Seriously, how can you not love these? They are so adorable and are perfect for up coming harvest festivals and halloween parties. You can find the full Monster Balls Halloween Treats recipe over at KraftRecipes.com. In fact, while you are over there be sure to look at the recipes for Halloween Party Ideas and Halloween Recipes for Kids. I’m partial to the Spooky Eyeball Tacos. 1. Make sure to have all ingredients measured out and lined up. Once the marshmallow is melted you need to work really fast. Hence, why I have no in-process photos of this recipe. I need an extra set of hands when I work on recipes like this. 2. If you can’t find candy corn for the ears you can use any fun and colorful candies. Look through the candy aisle to find something that looks fun. 3. Use cooking spray to coat your hands prior to rolling the rice krispie balls. 4. 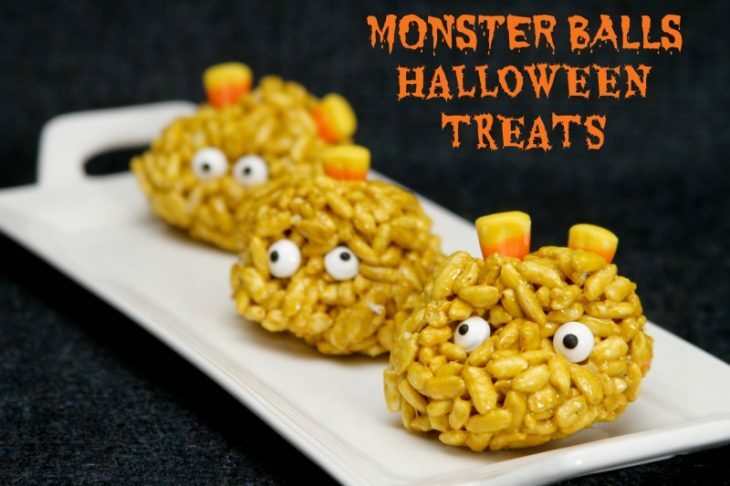 Line a cookie sheet with parchment paper and place the Monster Balls on there as you create them. 5. Add candy eyeballs to each ball as you go. Don’t wait for all the balls to be made to add eyes. The stickiness from the JET-PUFFED Marshmallows holds the eyes in place. Imagine how surprised the kids will be to see these a their fall party. Be sure to stop over at KraftRecipes.com to see how I created these fun Halloween treats. Your monster balls are adorable! I love the candy eyes and candy corn ears! My grands would get a kick out of these and would enjoy eating every bite of those monsters.